This past Thursday (Feb. 19) at the Math for Everyone lecture series, Jeffrey Diller, professor of mathematics at the University of Notre Dame, gave a presentation about imaginary numbers, unsolvable equations, and Newton’s method. Diller opened his presentation by posing the question of what mathematicians do, one of which is to solve equations. He then delved into equations that are unsolvable, like non-linear equations. “When we can’t solve equations, we need methods to approximate solutions to equations,” said Diller. One method discussed was Newton’s method, which pretends that the equation is linear in order to get closer to solving it. In the late 1800s, Arthur Cayley looked at using Newton’s method with an arbitrary complex initial guess to find solutions to polynomial equations. He tackled the case of degree two polynomials immediately. However, degree three, (i.e. cubic) polynomial equations stumped Cayley. In 2001, mathematicians Hubbard, Schleicher, and Sutherland showed how to reliably choose initial guesses that will find all solutions of a polynomial equation. They proved that if you do this and you apply Newton’s method to all those guesses, then you would eventually find the root. “With Newton’s method, you do it over and over again – you take a guess, and then make a better guess. There’s always a defined rule for taking guesses. There’s a rule for how the guesses evolve over time and how you will eventually find the root. So when you do this, you’re working in the field of dynamical systems,” said Diller. Some further questions that Newton’s method brings up is: How big can the set of bad initial guesses be for a polynomial of given degree? Is there an analog for the HSS theorem for other approximation schemes related to Newton’s method, such as the secant method? Is the same question for Newton’s method applied to systems of polynomial equations? 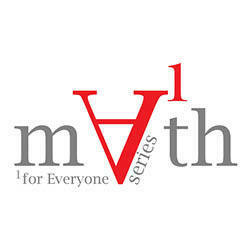 Math for Everyone is a series of math-related lectures, especially for undergraduates. The next Math for Everyone lecture, “Mathy Words in the Italian Renaissance: Niccoló Tartaglia’s Poetic Solution to the Cubic Equation” will be held on March 19, 2015 in 102 DeBartolo Hall. Everyone, from Fields medalists to math phobes, is welcome to attend. Originally published by Shadia Ajam at science.nd.edu on February 24, 2015.